Why do people want to be scientists? What is at the heart of the rise of citizen science? Why do people volunteer? 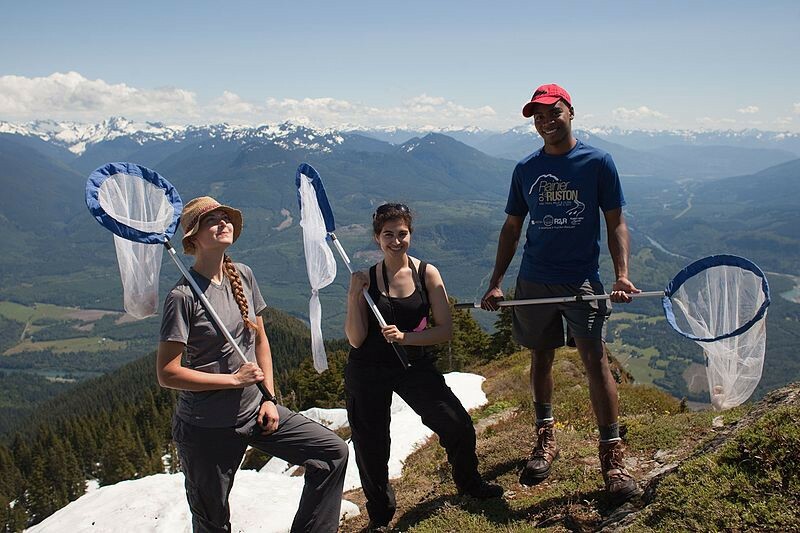 Scientific volunteerism, also known as ‘citizen science’, is a popular phenomenon, but what are the motivations behind it and who has the most to gain? The idea of citizen science is nothing new. It is defined as the process of producing scientific knowledge in which non-scientific or non-professional actors actively and intentionally participate. One need only look to Linnaeus, the ‘father of taxonomy’ from the 17th century, using citizen participants to help collect data on ancient ecology projects to see an early example of this idea. More recently though, the scientific community calls on help from citizens using means made possible by the digital revolution, (studies show 51% of the worldwide population now has access to internet), which has changed society substantially since the first citizen science projects. Modern examples of citizen science made possible only by the digital revolution can be seen in apps like Eye Wire, where players contribute to neuroscience for Princeton University or every time you fill out a CAPTCHA box to tell a website that you’re not a robot, you’re actually helping the creators digitize books by filling out words that are unreadable by computers. For scientists and the organizations behind the data collection, it would seem to be a win-win. A chance for them to continue their gathering and experimentation with the aid of a free, massive workforce and no spatial or temporal restrictions grace à the world wide web. And in reading about citizen science, it seems that this movement is only about education, volunteerism and empowerment. While those are huge factors, how often are we questioning the motivations of the citizen? Are they themselves participating in open science out of the goodness of their hearts? In the case of CAPTCHA, are they even aware? Are there groups other than just the citizens and scientists who have a vested interest in citizen science? While the digital revolution and rises in volunteerism can be thanked for the increase in modern citizen science, ethics and the question of motivation are major factors that are only recently being questioned. According to Gitte Kragh, a citizen science manager for over 20 years who studies how conservation outcomes and volunteer wellbeing are linked, citizen scientists have two main reasons for participating in open science: They can usually be categorized into either ‘self-directed’ or ‘altruistic’ motivations. In her analysis for the Institution of Environmental Sciences (IES), she posits that personal interest, wanting to learn more about a specific topic, recreation and career motives are all cited by volunteers when asked why they participate. In other words, self-interest is usually what inspires citizens to initially participate as citizen scientists. Conversely, Kragh says that the reasons most citizen scientists actually stay with a long-term experiment is because of their interest in contributing to science, something she says sets it apart from other volunteering opportunities. She also describes helping a cause, a feeling of importance and significance as examples of altruistic motives given by participants, and gives the example of monitoring biodiversity as basically a purely altruistic endeavor, by people who are concerned about the changing environment. However, external actors outside the scientists and volunteers have interests in encouraging citizen science as well. In an article for Slate in 2015, Jason Lloyd wrote about legislation created by American politicians which encouraged “[…] collaboration between scientists and the public. The bill appeals to a range of political sensibilities because it encourages public engagement in science and broadens the scope of federally funded research without increasing budgets. (Citizen volunteers cost even less than postdocs, it turns out. )” Examples like this, of government involvement and the ethics of future capitalization of citizen science, should be examined and called into question as they continue in the future. It’s important when looking at reasons behind volunteerism in citizen science to note that there is a kind of feedback loop of interest, intention and outcome which adds to the phenomenon and operates like a give and take relationship. For instance, if one looks at the discovery of water poisoning of the residents in Flint, Michigan which began in 2014 and is still ongoing, (and the citizen science that followed as a response), it is clear that there were motivations and outcomes that are affiliated with but also more serious and involved than just ‘self-directed’ and ‘altruistic’. The reaction to the water crisis has been a massive open science experiment seeing residents, afraid of being poisoned, with a negligible government and an underfunded research community, testing their own drinking water and sharing the data. The questions of who profited from this citizen science, as well as how and why are important ones. Finally, we acknowledge some of the limits which digital technologies and the collectors of data can put on citizen science. The issue of too much information could jeopardize the quality of science done by citizens (i.e. the Cegid Group reports that worldwide data use and storage in zettabytes will be multiplied by 30 in the next three years). Work with this much data may overwhelm volunteers, who sometimes don’t have the resources to information-sift. There are also limitations that pose risks to modern open science; untrained citizens analyzing complex information without preparation and using unsupervised tools and methods can call into question reliability of findings. Additionally, motivations that may be biased or personal could skew data. Limitations to citizen science can also be posed by new stakes, the questions of rights, licenses, contracts and general ownership of data. Houllier, F. October 2017. Citizen Sciences, digital transition and education. European Commission. March 2017. Open Science Monitor. https://ec.europa.eu/research/openscience/index.cfm. .
Houllier. F. February 2016. Les Sciences participatives en France Février 2016 État des lieux, bonnes pratiques & recommandations. https://inra-dam-front-resources-cdn.brainsonic.com/ ressources/afile/320323–7bb62-resource-rapport-de-la-mission-sciences-participatives- fevrier-2016.html.